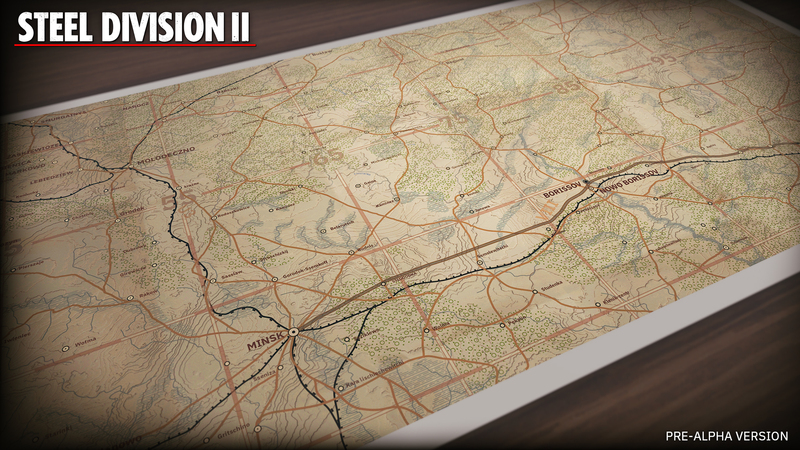 Army General, Steel Division 2‘s Dynamic Strategic Campaigns, is a single player turn-based strategy game mode in which you can, if you wish, fight every single battle in real-time. More than just a new game mode, our philosophy is to develop it as a new game within the game. As the General of your army, you are in charge of dozens of historically-accurate battalions, hundreds of companies, thousands of men, in up to 150km-wide maps. During each turn (representing half a day), you will have to manage their movements, their combat, and make sure the supply line is intact. In this first article, we’ll give you the first details on how it is played. The Battle of the Berezina River, one of the available campaigns. Important note before reading: All of the images & videos in this article are from an early development version. They contain work-in-progress elements, as well as some typos and baguette language. Will be fixed for the final version, obviously, and you will be able to watch the evolution of the game throughout the dev diaries. “Bagration” was one of the most massive WW2 operations that ultimately led to the war’s end. 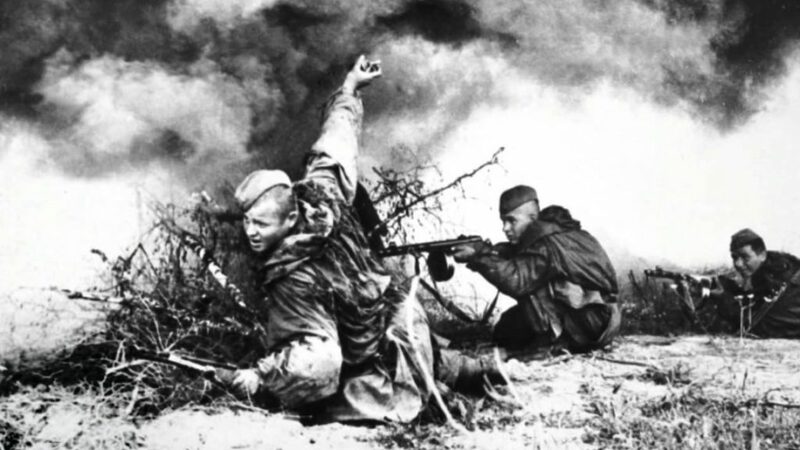 In June 1944, just a few weeks after Operation Overlord in Normandy, the Red Army launched a massive offensive in Belorussia, resulting in 17 Wehrmacht divisions being completely destroyed, a blow from which the German Army never recovered. A. 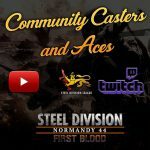 Massive, time-consuming Single Player Campaign: Even if Steel Division 2 will have way more skirmish content than its predecessor on day one (10 more maps, 200 more units, new game modes, etc. 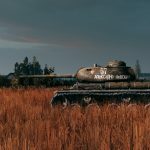 ), we wanted to make sure that a solo player could enjoy a long, highly replayable and interesting campaign in addition to the skirmish experience. 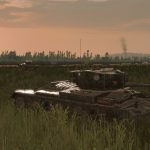 B. Reinforced & contextualised Historical Accuracy: While Steel Division: Normandy 44 offered an authentic real-time tactical combat experience, it could feel that some gameplay elements, like phases for example, were here only for gameplay purposes. Moreover, despite explanatory intro videos, fighting a battle in solo kinda felt like missing an element: “Why am I fighting?”; “How does this fit into Operation Overlord?”. The Dynamic Strategic Campaigns are a good way to provide more context, to understand why you fight a specific battle, and how it affects the story you’re playing. Moreover, as you’ll see in this article, gameplay elements -such as phases- are now fully understandable and logical. 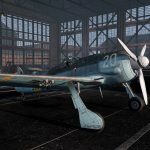 C. Innovative Strategic & Tactical experience: We didn’t want to simply reproduce a dynamic campaign as we did, for example, in Wargame: AirLand Battle, but to push the experience further, and explore new exciting ways of playing. For example, it was important for us that you are able to play not only one battalion against another, but to have the possibility of building your own assault force with multiple battalions. We also wanted to get rid of the cells on the map and allow complete freedom of movement. Of course, being able to fight every battle in real-time was never off the table! 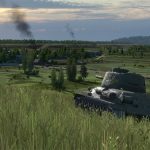 We have selected massive 1:1-scale operations from Bagration; key-moments that offered the most interesting strategic and tactical situations, and the most exciting divisions. 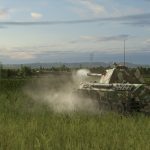 In these campaigns, playable from either the Red Army or the German sides, you will start with the actual divisions & battalions that fought during Operation Bagration, and aim to lead your men to victory. If the Real-Time Tactics put you in the boots of a Commander, leading your men in ~3km-sided battlefields, the Dynamic Strategic Campaigns make you a General, supervizing your army on an operational level. In order to provide an authentic feel, each map is designed from original Ordnance Survey maps, and battalions are represented as pieces on the map. 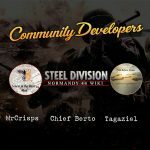 As a General, you have access to detailed information on every battalion, such as its combat values (Assault, Armored, and Support) and, more importantly, the companies and the units within them. You can also display the units’ stat sheet at any time with just one click. Each battalion has a number of Action Points that will allow it to move, assault a position, or execute an order. These points will recharge at night, every two turns, if the line of supply is intact. A battalion’s movement capacity will depend on its type, and will be affected by the nature of the terrain. You will want to use the roads as much as possible, as they provide solid ground. We’re providing all the decisional tools you might need to make the proper order. The dotted area indicates the battalion’s movement range. Selecting an enemy battalion will display the battalions you will be able to send to battle, and an indication of the phase where it will be available. The combat phase will depend on its movement capacities (influenced by the distance and the nature of the ground); some of them will be able to arrive in phase A, B or C, representing different moments of the battle. 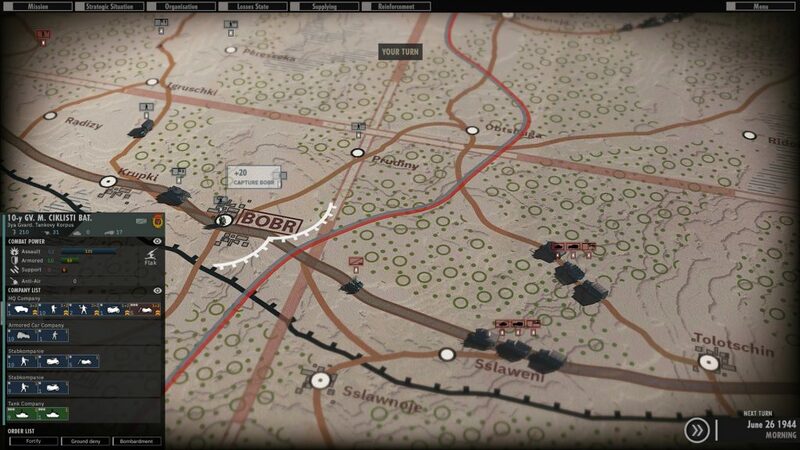 Before starting the combat, you will be able to select up to six battalions for a battle. If you are a pure Strategy player, and you prefer Strategy to Tactics, you will be able to auto-resolve the combat instead of fighting it. After a short animation showing the different battalions in action, you will have access, phase by phase, to a detailed summary of the battle, including the losses and out-of-combat units. Of course, the nature of the terrain will affect the outcome of the auto-resolved battle. For example: wooded areas will reduce tanks’ efficiency. Another option is to fight the battle yourself in Real-Time. Depending on the situation and the terrain, the tactical map and the game mode will be different, reflecting a realistic combat situation. Launching an assault on a defended position near a wooded area will result in an Attack/Defense situation on a Forest map. Three different game modes and 25 maps will be available, allowing a wide array of situations. 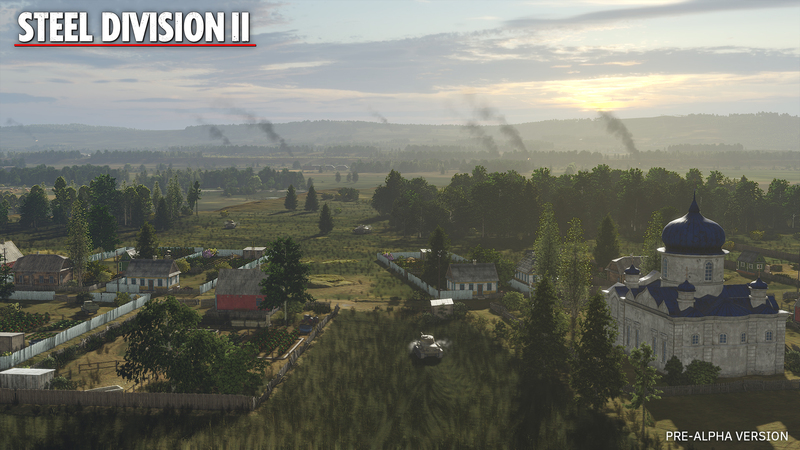 We’ll tell you everything you want to know about Steel Division 2’s Strategic Game’s Combat in a future article. There’s so much to talk about, it wouldn’t all fit here. Spoiler alert: it’s different from the pure Skirmish mode. The Order of Battle can be displayed at any time. A part of a far larger game. We have lots of things to reveal in the coming months, so stay tuned!